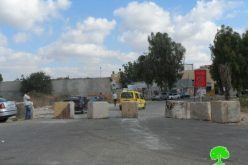 Event: The false declaration by the Israeli occupation forces that they have eased movement restrictions at the Ma’ale Ephraiem checkpoint southeast of the City of Nablus. 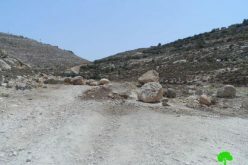 Israeli media outlets have indicated on the 22nd of September, 2009 the intention of the Israeli occupation forces to remove the Ma’ale Ephraiem checkpoint, located southeast the village of Aqraba in the Jordan Valley. The checkpoint is one of six that separates the West Bank from the Jordan Valley and prevents Palestinian access to the Valley. However, when the Land Research Center (LRC)’s field researcher visited the location, it turned out that the checkpoint functions in the same manner it functioned since its establishment while removing some of the soldiers from the location. The basic infrastructure of the checkpoint (observation towers, search rooms, parking lots) is still present which means that the soldiers can come back to the checkpoint at any given time. 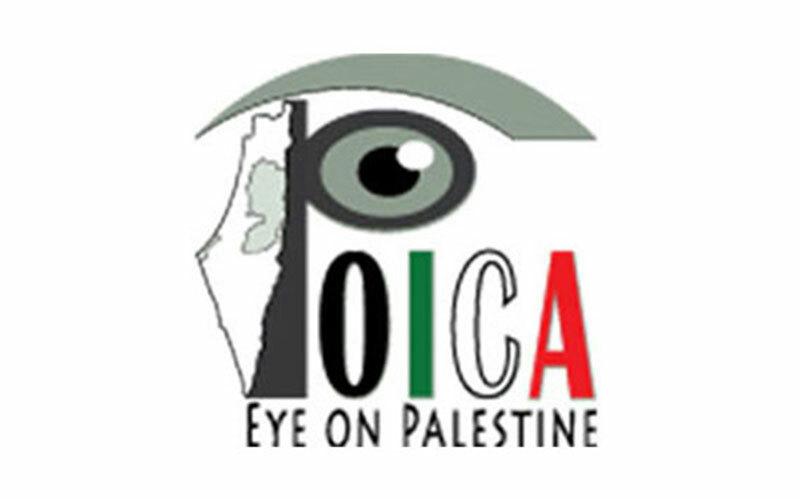 As such, what Israeli occupation forces has done was a mere maneuver to deceive the local and the international public opinion while the intention of keeping control of Palestinian lives and movement is still present and is the motive behind all Israeli actions. The Jordan Valley stretches along the eastern front of the West Bank from Ein Gedi in the south to what is known as Tel Maqzooh near Bisan in the north close to the Green Line. It also stretches from the Jordan Valley in the east until the eastern ridges of the West Bank. The area of the Valley is 2400 km2, i.e. around 30% of the area of the West Bank. 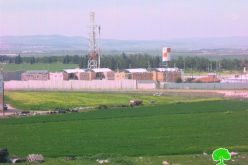 There are 22 Israeli colonies in the Jordan Valley in which 2,700 colonists are currently living. These colonies control about 22,932 dunums of the Valley’s lands which they use mostly for agricultural purposes. Israeli occupation forces controlled the water resources in the Jordan Valley since the first day of the occupation in 1967; 162 irrigation projects were destroyed while the wells of Ein Al Baida and Al Oujah were dried up. 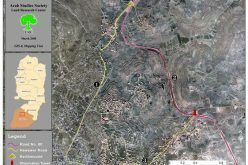 The establishment of Road 90 while depriving the Palestinians of 250 million cubic meters of water from the Jordan River and diverting it to the Israeli colonies have devastated Palestinian life in the Valley. 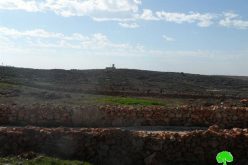 Moreover, Israeli occupation forces have prevented Palestinians from digging for water sources or even taking advantage of the irrigation wells present in the Valley while colonists were allowed to build swimming pools and to use water as they deem appropriate. Palestinians are not allowed to build and expand in the Jordan valley while colonists are given special privileges in terms of building and transportation while being given loans up to $20,000 to be repaid over an extended period of time. There are 6 military checkpoints that separates between the Jordan Valley and its immediate environ in the West Bank. 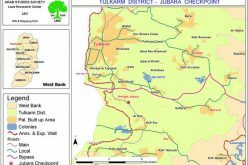 The checkpoints include the eastern entrance of the city of Jericho, Al Hamra, Al Tayaseer, Ma’ale Ephraiem, Al Oujah and the Dead Sea. These checkpoints make it extremely difficult to access the Valley while Israeli colonists have a complete freedom to enter and exist the Valley with a total ease.